The world has become smaller since the internet has given us the opportunity to instantly link with people everywhere. Today I experienced the effect of this first-hand. When I read that blogger Hannah was going to be in England over the Christmas break I suggested we maybe meet up for a cup of coffee somewhere. 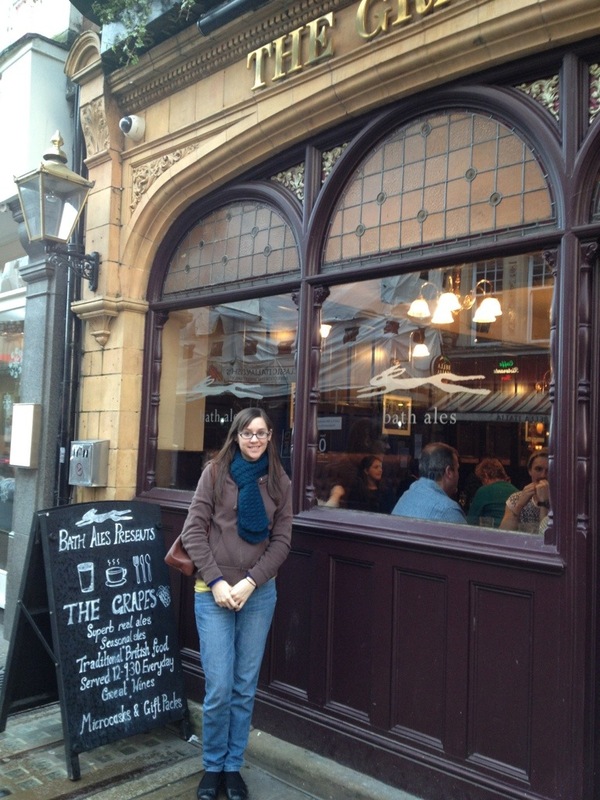 We did, today, and had a relaxed time wandering around some nice spots in Oxford. Sadly two of the three craft shops I wanted to show Hannah are closed between Christmas and New Year, however my favourite independent cafe, one of the oldest pubs in the city and a yummy (100% British beef) burger place were open. So we managed to achieve a good mix of culture, a bit of craft and plenty to eat and drink! I’m chatty (are you surprised?) and so it turns out is Hannah, so there was no struggle to find topics, I think we covered a pretty wide range in the time we shared. As we already have the common interest of crochet (& knitting) we indulged in a tiny bit of yarn chat, compared craft shops (or lack of in Hannah’s case) and talked about the blogs we have in common. I wonder if the ears of Trish Jill Lucy or Heather were burning as we talked about them and their blogs a little? When you meet someone who is wearing a scarf, hat and pair of gloves you recognise, because you’ve already seen them (and read all about their conception) online, you understand again how small the world has become. Ah that’s so nice! Bit like online dating??? (Which is how I met my partner, by the way). I have linked up in person with Maryanne from Woolhogs, but was a bit nervous beforehand and made extra sure my hair and make-up were perfect (hahaha). Blogging HAS made the world smaller, it’s quite amazing. It’s like having like-minded friends in a box that you can take out and play with whenever possible. I am hoping to be able to meet up with an American friend/blogger sometime next year, it’s still up in the air but she’s hoping to visit Pretoria – 14,000km from Cape Town – but life’s short, so I’m gonna do it!!! Oh definitely! You must come and we’ll tour the craft cafes of London, or …. What a great story. The world really does feel smaller when you blog. Scaringly I recognised the pub before I even opened this post! Ahhhh that why I had hot ears!! Sounds like you had a great time… I’m a bit envious ;) but I did get to go Hobbiting last night before the babysitters went home today. 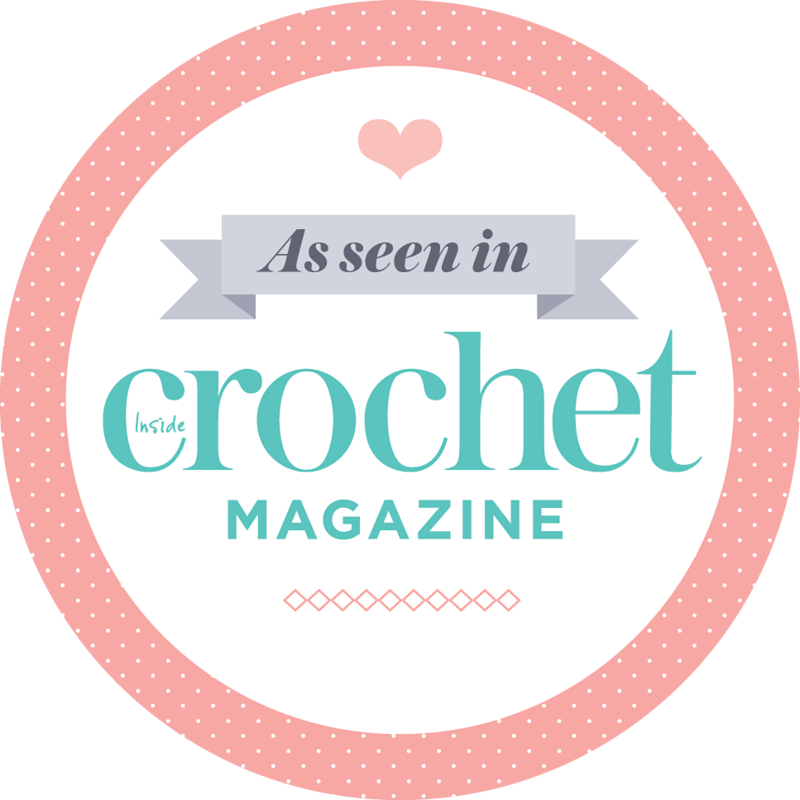 I love meeting other crafty bloggers – we should crochet-along in person in the new year! I, too, need to know the craft shops :) I live nr Oxford and don’t know them! Nice post.